Don't you want Super Smash Bros. on SNES? What do you think? Should Nintendo add a bonus "16-bit mode" to the next Super Smash Bros.? Would Other M have been less terrible had it featured retro graphics? Let us know in the comments below! That is awesome. Always liked 16-bit anything. More on the topic, all this art does is make me wish I could play these demakes! Why exactly does Nintendolife need to troll Other M fans? Is there not enough traffic for your articles? 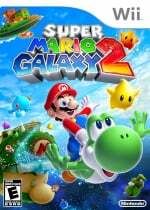 ...I like the Super Mario Galaxy 2 "demake" and Other M's the most. Other M wasn't terrible by any means, it just wasn't a great entry in an otherwise acclaimed series. Anyway... The Pikmin and Super Mario Galaxy demakes look great. 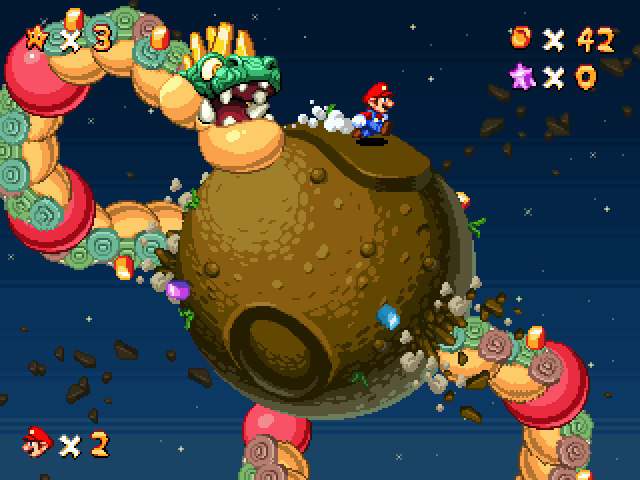 Now I want to see the Mario Galaxy games remade in 16-bit!! And I'd especially love a 2D Metroid with hand-drawn sprites like Rayman Origins. I thought the Other M hate was mostly on how Samus was portrayed, I heard the game itself wasn't bad. I haven't played it though. I'll probably pick it up someday, Gamestop's used price is pretty low thanks to all the hate. Anyway, nice stuff. 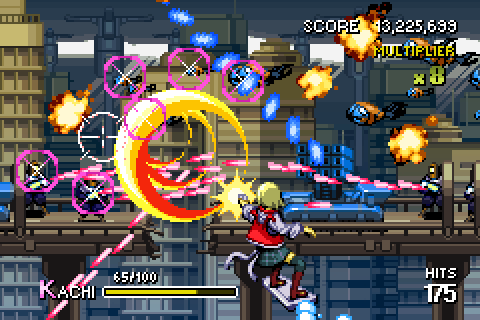 I always love me some pixel art, and demakes just look really cool. Hard to de-make Other M anymore than it presently is. Steady now Jake, I liked Other M! 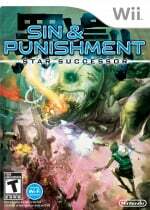 Holy smokes at Sin and Punishment! Looks awesome. I think a new Coolness tag is in order. Fun fact, this guy was a graphic designer for Minecraft. Might still be. Not sure. Awesome looking! Imagine Animal Crossing with these graphics. I don't like Other M myself, but that jab at the game was unecessary for this article. Anyway, that's some pretty cool art. Loved the Super Mario Galaxy 2 one. I thought the Metal Gear Solid one was cheating until I remembered I was thinking of Perfect Dark (gameboy colour) not MGS. Other M on SNES would've worked a bit better - most of those characters wouldn't have their terrible voices. Smash SNES would be interesting, but the junkboy designs here look a bit too rough. Super Mario Galaxy would theoretically be possible by rotating sprites and backgrounds - but the insane wonder physics would be impossible. I like these illustrations and all, but yeah, I hated Other M.
other M was mentioned prepares for everything to go wrong ... although i really find that jab at it to be odd considering this was the same site where it was given a 9 out of 10... different tastes i guess. The main complaint with Other M was that people didn't like the story and Samus' portrayal. It doesn't look that bad, really. 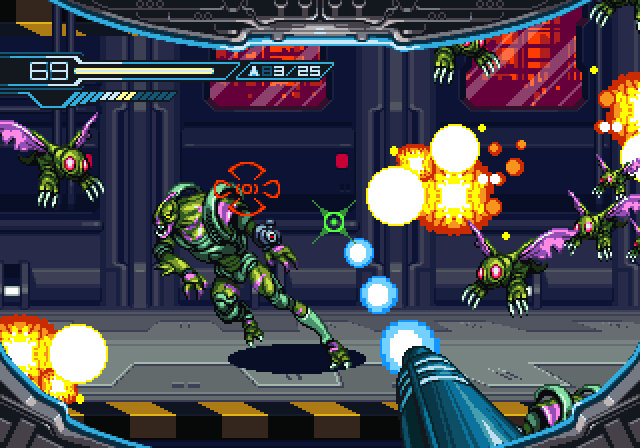 I have to pick it up at some point considering how much I'm enjoying Metroid Fusion. Jake really didn't need to troll the people who liked the game. @FalconPunch Ironically, I liked the story the best. Samus' portrayal could have been better I guess, but it wasn't so bad. My biggest complaint involved the controls. I rented it through GameFly and was so excited to play it, I liked the idea of a 2.5D-ish Metroid with FPS Wiimote controls, but to me it was better on paper than it was by the time the game rolled around. I was just so continually frustrated by it. Then again, with the fanbase that has developed for the game I've been thinking about giving it another go. I like his Video Wars, though I'm not a fan of any of the games pictured in it. i do wish we would have gotten beautiful sprite work for the handheld smash but i understand how difficult it would hav been to impliment. o well. I want that Sin and Punishment. That is a beautiful picture! This is pretty awesome. 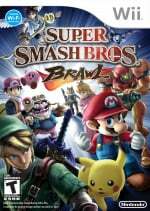 I would love to have a 16-bit brawl in Super Smash Bros. I'm not sure about a 16-bit Super Mario Galaxy 2 though as the visuals in that game are stunning. 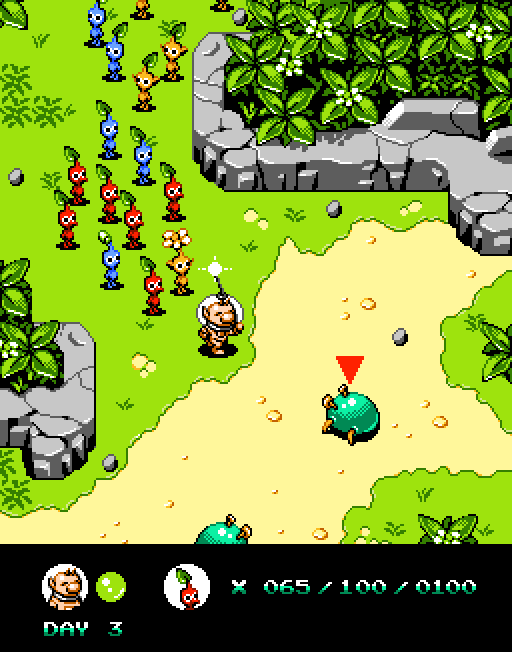 A 16-bit Pikmin would be interesting. 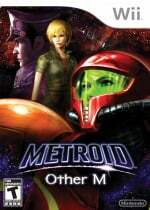 @ToastyYogurt There are three reasons people hate Metroid: Other M.
2. Few people actually liked the portrayal of Samus's character. While I agree that her reaction to Ridley shouldn't have been at all what it was, her stoic attitude was the only thing I could expect out of a battle-hardened Samus. Samus following Adam's orders also make people upset because Samus is supposed to be extremely independent. I don't really see this as an issue because they were all working together on their mission and, knowing what kind of threat SAMUS poses to the ship itself, restrictions would be necessary. 3. People felt it was just a bad Metroid game, not necessarily a bad game overall. However, since it had the Metroid name attached and quite a few people found it mediocre, it was labeled as downright awful. Also, it supposedly cuts out the Prime series from the Metroid canon. And it's "too linear" although Fusion was basically the same except it was 2D. I just viewed the Mario Galaxy image on my 3DS web browser. It looked epic as my 3DS screen even displayed it with what looked like scanlines! I always thought Smash Bros. would have been awesome on SNES. 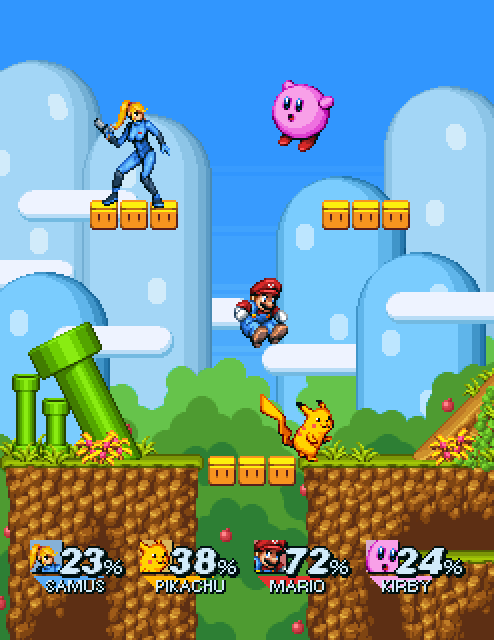 I have played the demake "Super Smash Land" but I always wished it was a SNES based demake. The Pikmin screen looks the most like something I would have played in 1993. Is this really 16 bit? It looks more detailed than anything that came from the 16 bit era. The Sin and Punishment one looks awesome! @Falchion You and I both. 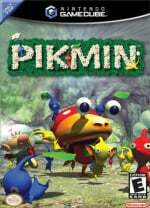 Pikmin looks great,it reminds me of Beyond Oasis on the Megadrive. Have a look at Donkey Kong Country 3. And once again this makes me wish for more creativity in the 2D Mario games. Seriously, even if it only had half of Galaxy-freshness it would still make for a breathtaking game. And a Pikmin game like that on the 3DS? Oh yes, please! @ShadJV yeah I'm with you. I always defend other m. If people didn't liked how samus was portrayed, just skip the cutscenes and enjoy the music and action which is top notch. Also is curious they called it "less terrible" when they even made a feature defending the game some time back. @ShadJV the funny thing is looking at meta critic the game got mostly positive reviews. The hate is just a vocal minority who probably never played the game. The first three look more 32-bit than 16-bit. @noctowl 79 is not a great score on the gaming industry. Also look at the userscore. Also, "small vocal minority"? Ha. You sound as if you're talking about the few three people who like Other M.
@Melkac three people? That's cute. But I don't make up numbers. What am I suppose to take away from the user score exactly? That a lot of the fanbase doesn't comprehend Other M and the series in general? How many of those users needed essays to form their opinion? The fact that anyone actually liked Other M talks a lot about the current industry. Most people don't though, and those that do actually are a very vocal minority, so I guess that's fine. Not everyone cared to accept an interpretation of the game that sought to destroy Samus's character and undermine how the series can evolve. I'm getting annoyed at seeing fans think they are somehow above those who enjoy Other M when all they've done over the past 3 years is whine about Other M and moan that Nintendo owes them a better Metroid game. i knew youd be posting here. how does it feel to be stalked? I think I have seen some before! The Mario galaxy one is new to me, and it looks great!